Level: Challenging. 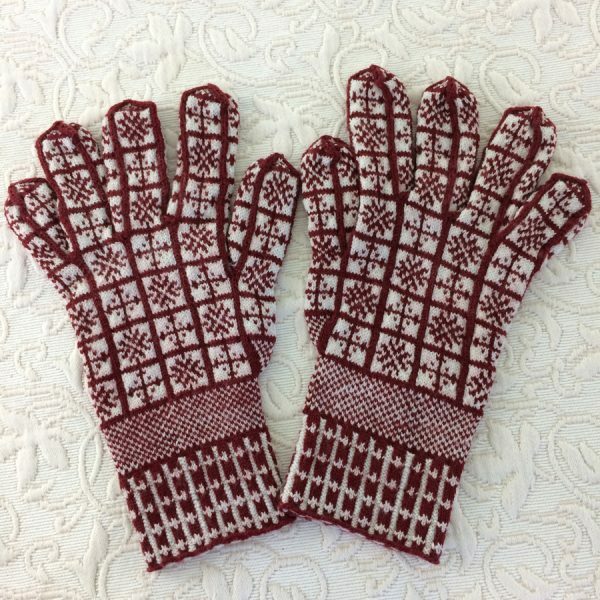 Sanquhar Gloves have captivated the Scottish and non-Scottish alike since the late 1800’s when they were first created. These gloves were favored for riding and driving horses, playing the sport of curling, and looking smart as well! 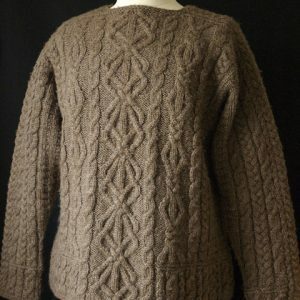 Several classic patterns have survived, most notably the Duke and Prince of Wales patterns. The mathematics of Sanquhar Gloves is always the same. 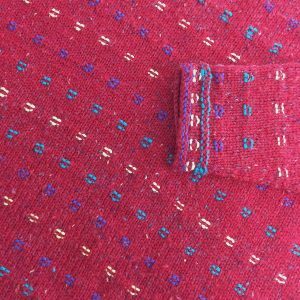 The construction is unalterable, so that the only way to create different sizes is to change the gauge, or the number of stitches within the little boxes. To preserve the motifs, this pattern is sized by changing needle sizes and gauge from US size 0000 to size 2 (1.25 to 2.75 mm). 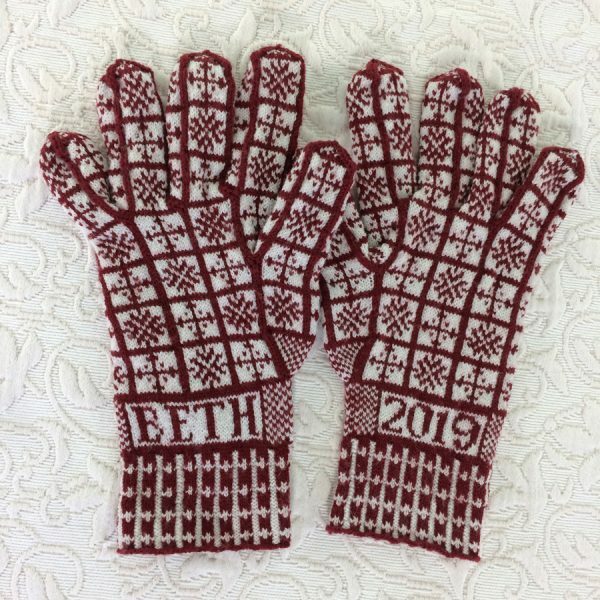 You can purchase the kit from Beth’s Etsy shop by clicking here! * Gauge is over two inches, worked in 2 color St st. See page 2 for swatch instructions. Needle size is only a suggestion! A gauge swatch is essential! Needles: One set of five 7″ long (or shorter) dp needles, size needed to obtain the gauge for your hand circumference. Notions: St markers, sticky notes or magnetic board to aid in reading the chart, tapestry needle, scraps of contrast color yarn, tape measure.